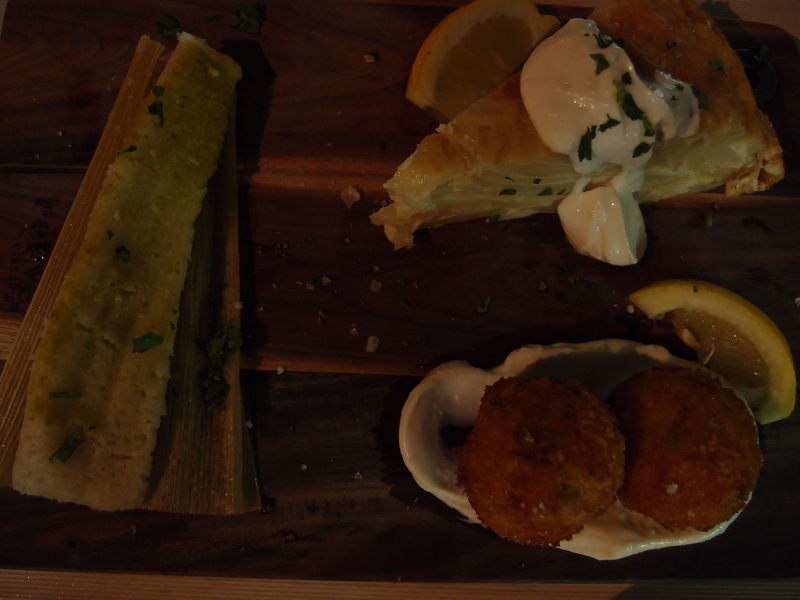 It took many attempts to finally get to Smith & Daughters – the over-raved about vegan Mexican inspired café-restaurant on Brunswick St. Closed Mondays, and basking in popularity, I finally got a booking (at a reasonable hour) on a Friday night. Arriving at 7.30pm, we were moved from the waiting bay, to someone else’s reserved table at the bar, and finally to our reserved table at 8.20pm. Whilst the staff were friendly, and overly apologetic for our forty-five minute wait (to be expected without a booking), it was clear their extreme popularity is something they cannot yet keep up with. Decked out in day of the dead décor, bejewelled crosses, hand painted skulls, and statues of the Virgin Mary balance out the stone grey darkness of the bluestone, quietly lit with clusters of candles scattered on the bar and window sills. 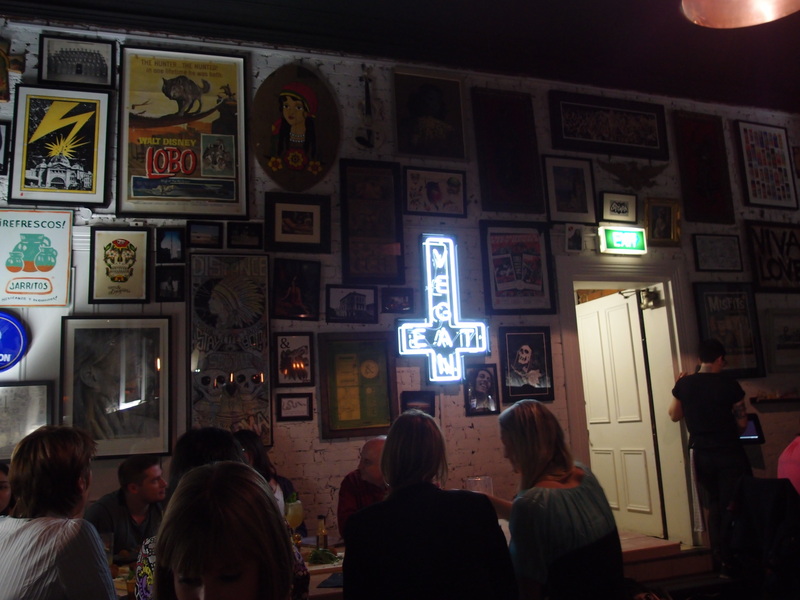 A neon sign – an upside cross encrypted with the letters EAT VEGAN – draws you to the back wall, filled with a miss-matched shape of photo frames filled with Jarritos posters, day of the dead paintings and portraits of Bob Marley. It is hard to imagine the poetic darkness of the fit out being appropriate during the sober light of day but at night, it is brilliant. The bad start to our experience was soon forgotten (lucky for them) thanks to the mouth-watering flavours hurled, slid and flung in front of us. Despite feeling as though our over-ordering was a burden of time on the staff, eager to get someone else to our table, the food was original and delicate, focused on presenting authentic Mexican flavours the vegan way through traditional servings at triple the price of the motherland. A mix of smaller sharing serves that are beautifully presented on chopping boards and in taco bowls, the food is full of bold, heavy flavours that encourage grazing in a traditional tapas way. As if it were the real deal, the white truffle and forest mushroom pate served with crisp bread, gherkin and caper berries was as fatty and lardy as you want pate to be. The heavy flavours along with the smooth, creamy texture matched perfectly with the sweet and salty kick of gherkin and capers piled up onto small crisp bread. The ‘tuna’ and green pea croquettas served over pure caper aioli was a crispy-crunch mouthful of deep fried cheesy delight with every bite. 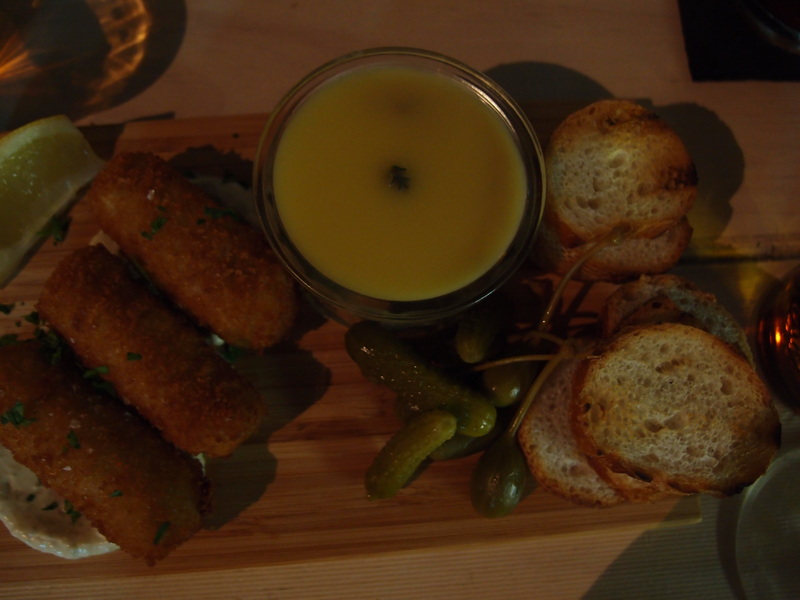 Bigger than an arancini ball, smaller than a spring roll, these fingers of béchamel and fish were pockets of genus. The more humble tamales, masa filled with mushroom and naples and grilled corn is traditionally on the boring, corn starch side of the scale, an acquired taste but filling and hearty. The potato and onion tortilla, or Spanish omelette was dense and well layered, cut into a large wedge showing off the preparation put into the process. Taco con ensalada, a tortilla basket jammed with rice, black beans, chorizo, jalapeños, lettuce, corn and coriander was packed to punch yet required a strong dose of habanero sauce to give it that extra kick. 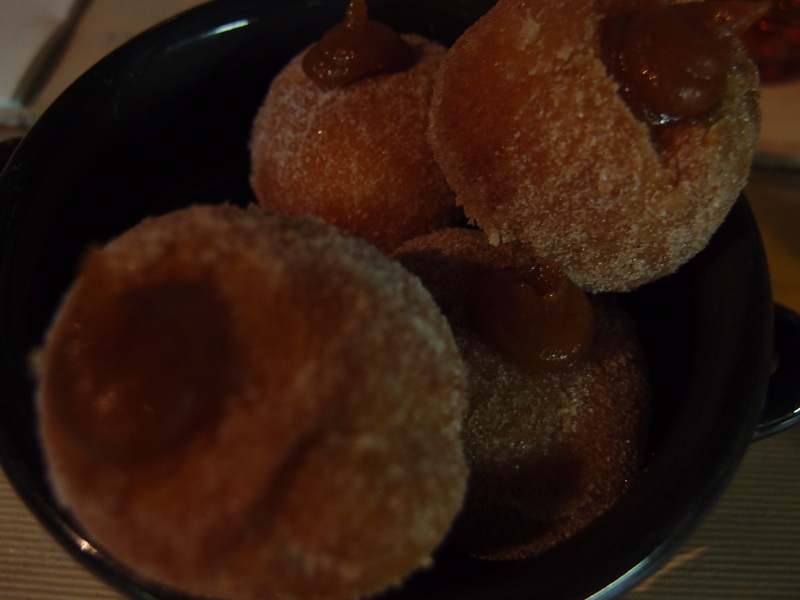 Finally, the Spanish doughnuts filled with quince and dusted with sugar were oddly savoury sweet yet lights puff of (more) deep fry but with a point of difference from the savoury menu. Open for breakfast and lunch dinner and late night (except Monday) Smith and Daughters is perhaps biting off more than it can chew. By developing a more succinct execution of the customer experience by focussing on being a restaurant and bar rather than a café, the décor would make more sense and I would have felt less rushed.